What is citizen science? Citizen science is the collaboration between the general public and scientists in the collection or analysis of data. Science is for everyone and citizen science projects are wonderful because they allow anyone to be part of the process. There is so much to explore in the world, that by crowdsourcing we can collect so much more information than would otherwise be possible. Read on to learn about some great projects that you can take part in, and a giveaway to help you get started! Citizen Science Day (or days) is a celebration of citizen science through a series of events. This year, 2017, Citizen Science Day events will happen from April 14th-20th. You can look to see if there is an event near you by visiting this site. To learn more, watch the video series below from Citizen Science Day 2016. 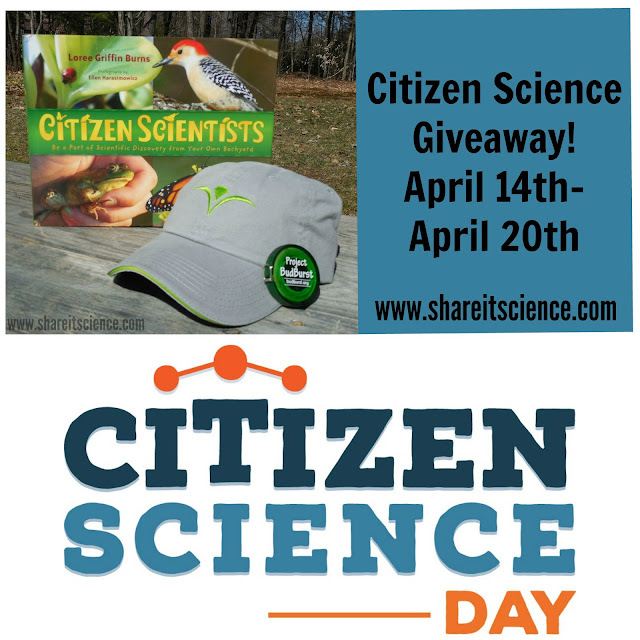 You may have read about various citizen science projects here on Share it! Science already. 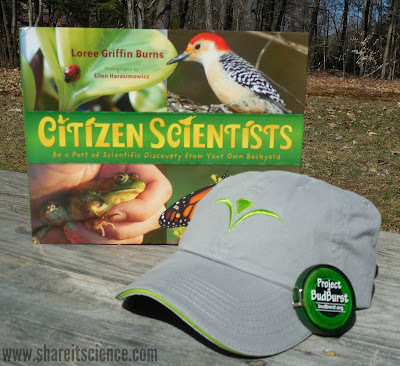 I've been fortunate enough to partner with one of my favorite citizen science projects, Project BudBurst for the past 3 years to offer a giveaway to inspire you to try citizen science, and get kids involved in these great projects too. Not only does citizen science offer an opportunity at authentic science for kids, families, school groups, etc. but also can help kids develop a sense of place. When they begin to study their surroundings carefully they develop an intimate knowledge and appreciation of the natural world. Project BudBurst is one of those projects that gets kids looking more deeply at the world around them. Formerly part of NEON (National Ecological Observatory Network), and recently moved to the Chicago Botanic Garden, Project BudBurst collects phenology data. Phenology is the study of seasonal phenomena, particularly in relation to climate, plants and animal behavior. Spring is a very busy time for the project, as citizen science volunteers are submitting data on when leaf and flower buds are opening. You can learn more about Project BudBurst and how to use it with your children or students by visiting one of my previous posts, "Project BudBurst, Easy, Authentic Plant Science". Many digital citizen science projects can provide an opportunity to visit or study a place that is far away. There are a wide variety of online citizen science projects through Zooniverse and SciStarter. You can help count penguins or help monitor the life cycle of Amazonian rainforest trees. 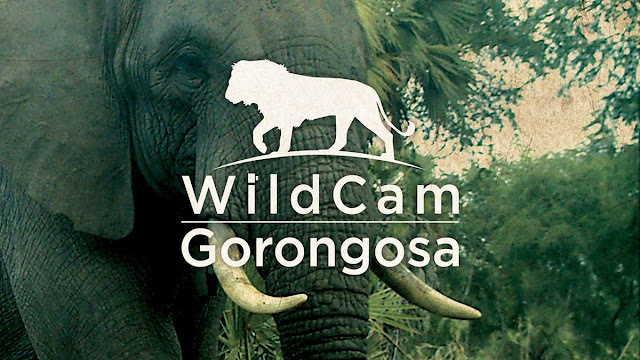 Through the WildCam Gorongosa project, you can travel to Gorongosa National Park in Mozambique, Africa and help identify wildlife from photos taken by trail cams throughout the park. These are excellent projects to set up in your classroom and have students participate in a little at a time. They help hone observation skills and allow students a chance to contribute to actual field science. You can also search for projects on SciStarter here. Now for some fun! This year we are giving away citizen science goodies to 3 winners. One prize will be a hardcover copy of Citizen Scientists: Be Part of Scientific Discovery from Your Own Backyard by Loree Griffin Burns, a cool Chicago Botanic Garden cap, and a Project BudBurst tape measure. Two additional winners will receive a Chicago Botanic Garden cap, and a Project BudBurst tape measure. Citizen Scientists: Be Part of Scientific Discovery from Your Own Backyard is written for kids and takes a close look at four citizen science projects and resources for several more that kids can take part in throughout the year. The photography is engaging and the background and descriptions of the projects including images of kids taking part in them makes you want to get right out there and try it. Click the book image below to learn more. This giveaway begins on April 14th, 2017 and ends April 20th, 2017 at midnight EST. You must be a US resident to enter. Follow the directions carefully in the Rafflecopter box below, some entry options can be completed daily. We'll contact the winners via e-mail and announce them here. Disclaimer: Giveaway prizes were provided by the Chicago Botanic Garden, Project BudBurst and Share it! Science. All opinions and recommendations are my own, I was not otherwise compensated for this post. I have fallen in love with CS! Teaching a homeschool coop class re this in the fall! Thank you! That is great! 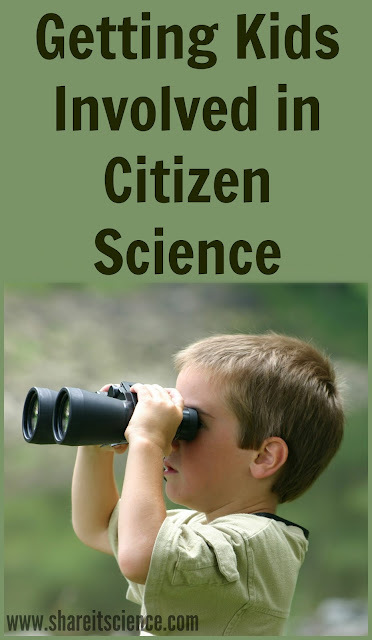 Citizen science is such an excellent way to get kids involved in real world work. Good luck! Thanks for entering the giveaway! I have not participated in an organized citizen science project, but have been encouraging my colleagues to take a look at the possibilities! There are so many different ways and levels you can participate, from something quick you do online to actual field work. I hope this helps to further inspire you and your colleagues! Thanks for stopping by and entering the giveaway! No I have not..but my nephew has. I have not participated in an organized citizen science project. I hope that this inspires you to try one out! That is great! Was his project local, or something that other readers might want to look into participating in? Thanks for stopping by the blog!